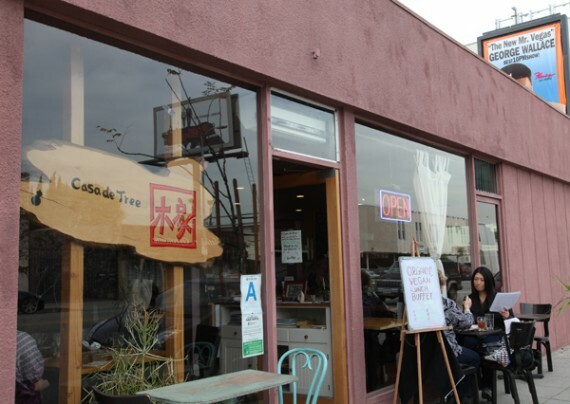 casa de tree is a newish japanese/french organic bakery and vegan deli that’s sprouted up near the venice area of los angeles. 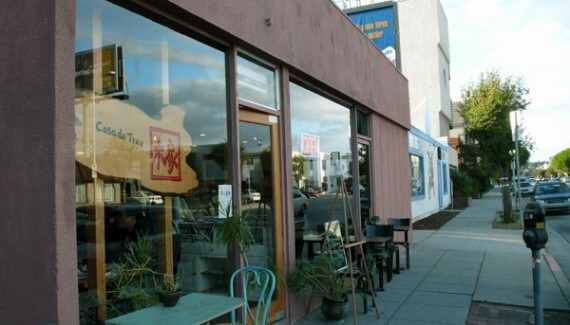 they used to have a location in torrance with a full-on menu, but for now the los angeles storefront just offers a few specials and a long pay-by-weight vegan buffet. 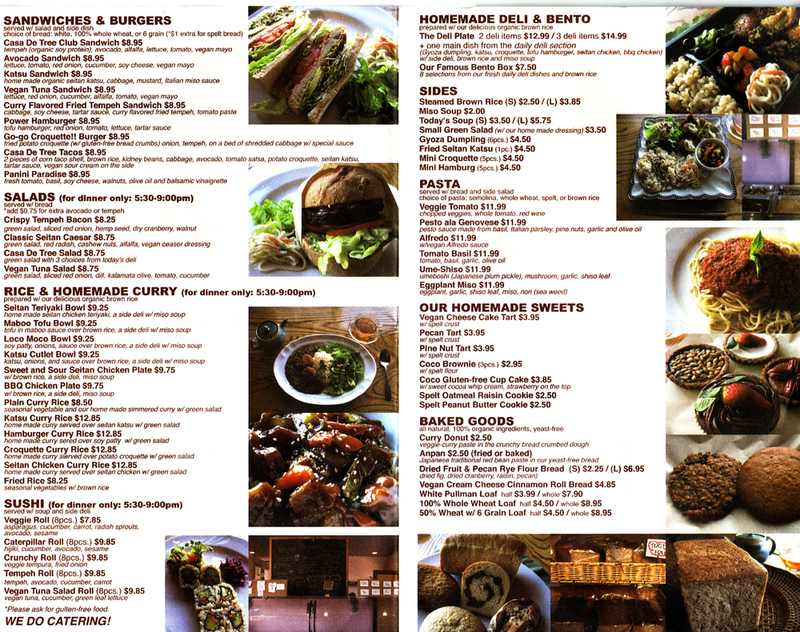 my husband and i checked them out a few weeks ago and filled up on loads scrumptious vegan goodness. 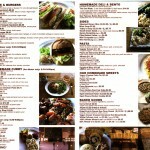 buffet, entrees, sides, we got it all. 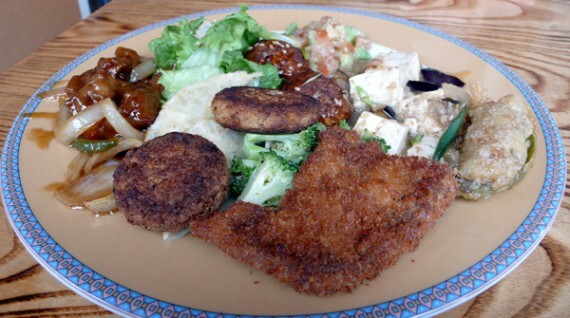 casa de tree buffet with vegetables, tofu, crispy seitan, dumplings and other tasty things. $8.99 per pound. my husband made his rounds through the deli, gathering tons of appetizing vegetables, savory tofu, crispy seitan and steamed dumplings. i helped myself to his plate and everything was amazing. 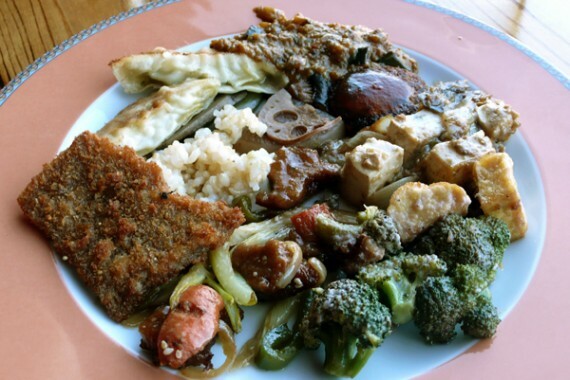 strangely, the large trays of buffet food that lined the walls of casa de tree were completely unlabeled, however the woman behind the cash register was more than happy to explain each dish in detail. 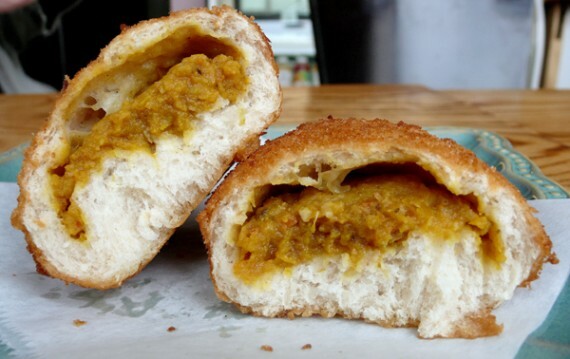 there was so much to choose from, and it was all delicious and completely vegan—the food was much higher quality than that in the standard whole foods pay-by-weight buffet of the same price. 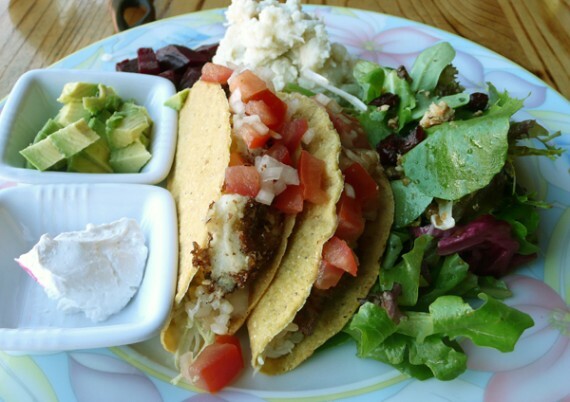 i decided to go with the special of the day from the blackboard above the buffet, two crunchy tacos. 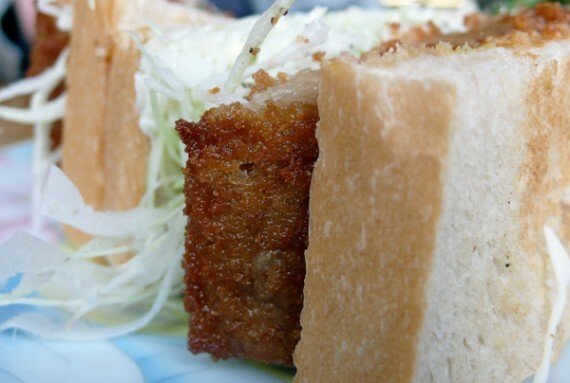 they were very tasty, and came with a bunch of stuff that looked familiar from my husband’s buffet selections. i thought the tacos were incredible. 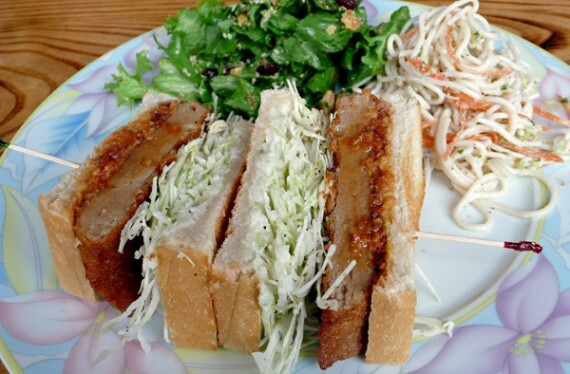 the breaded seitan katsu was perfectly cooked, the organic corn shells were light and crunchy, and both side salads were superb. the soy sour cream was sinfully good as well. my only complaint about my meal is that it took ages to arrive, and since my husband went with the deli option, he was done eating long before my food was served. 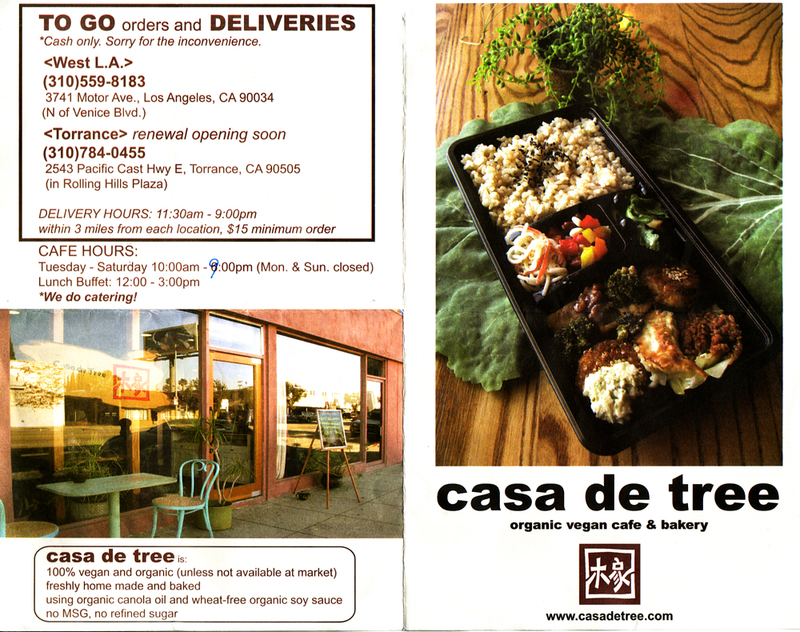 casa de tree also offers a counter full of ready-made items and take-away bento boxes that looked very appetizing, and wide array of mouth-watering desserts. my husband and i split the tofu quiche, which turned out to be the highlight of the meal. i have had a few vegan quiches in my time, and this was the best one ever. 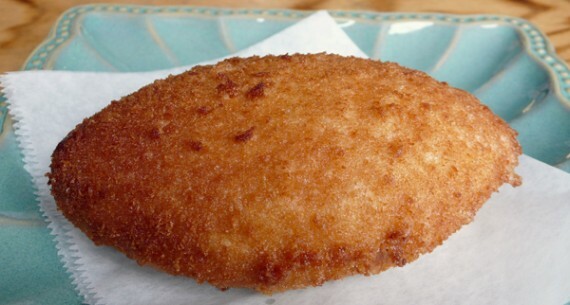 it was warm with fluffy tofu and spinach on the inside, and slightly burned and crunchy on top. 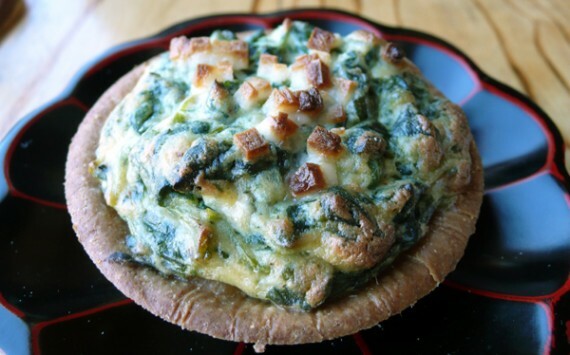 quiche perfection. so overall, i had a pretty good experience at casa de tree. 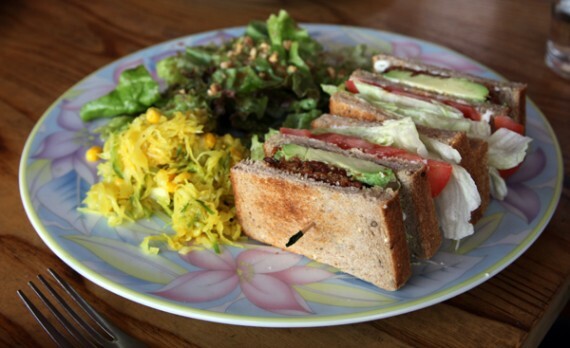 the food was not only tasty, it was all organic, vegan and nutritious. the recipes were creative as well, i loved the blending of japanese and french styles—the dishes really reminded me of stuff you’d find at m cafe, minus the dead fish. 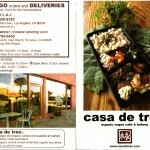 i just hope casa de tree gets a proper menu at some point in the near future. while the deli/salad bar option would be great for grabbing stuff to go, i’d rather have more choices for a dine-in experience. plus, i prefer my food to be fresh and warm as can be. 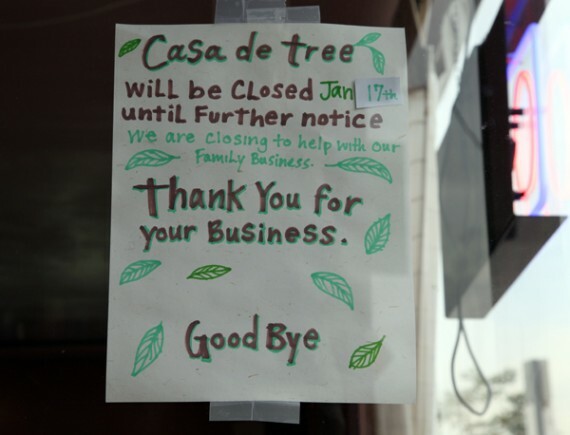 if you want a quick bite on the west side, check out casa de tree. and eat some dessert for me, because i didn’t get a chance to try any!